Hello and a very happy New Year to everyone who reads this! It's only the 4th day of the year and I'm already so busy with blog related things! 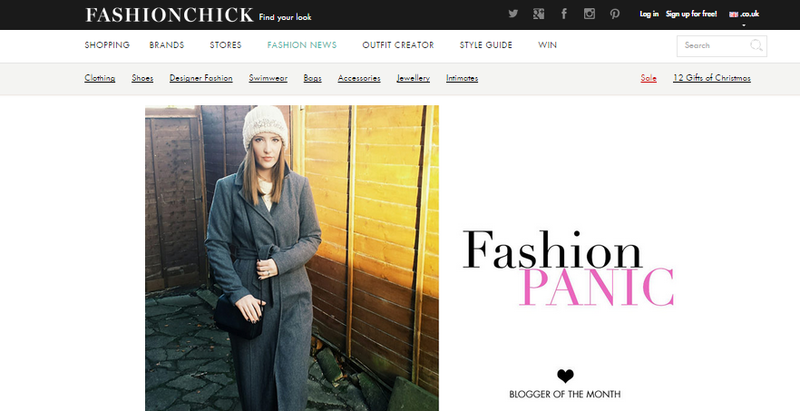 I am pleased to announce that I am blogger of the month over at fashionchick.co.uk It's an absolute honour, and I am over the moon to even have been considered! My full interview can be found here . As we've all been off for Christmas, I've managed to do quite a few looks this past week. So I am going to post two looks today so I can keep up to date with my instagram looks and the blog. I hope you've all had a wonderful time over the holidays. I have indulged a little too much, but that's what Christmas is for!